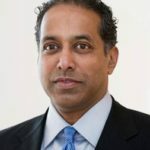 Amjad is a Financial Advisory Executive with more than 25 years of banking and development finance experience gained from leading and closing multiple “First-of-a-Kind” power and social infrastructure projects on a global basis. Between January and July 2018, Amjad served as part of the Expert Finance Working Group (“EFWG”) created to independently advise UK Government on framework for attracting private sector financing for small nuclear projects and Small Modular Reactor (“SMR”) technologies. 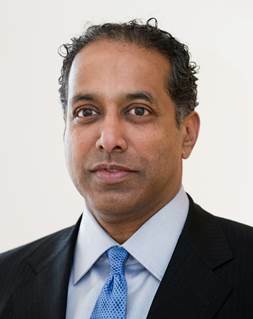 Amjad was a Managing Director in Credit Agricole – CIB’s (“CACIB”) Structured Finance Advisory Group (2006-2017) where he lead Financial Advisory teams raising non-recourse financing for several landmark mandates in the power sector, as well as teams working on behalf of public and private sector clients in Nuclear New Build transactions in Bulgaria, Lithuania and Finland. Prior to joining CACIB, Amjad spent a decade as a Development Finance executive with CMS Energy (“CMS”) leading the financing objectives on multiple IPP and IWPP transactions in emerging economies, including Abu Dhabi, India, Saudi Arabia, Morocco and Chile. He also served as Assistant Treasurer for CMS and Consumers Energy between 1997-1999. Amjad has a BA in Economics from Boston College and completed his coursework towards a MA from the Johns Hopkins School of Advanced International Studies (SAIS) with an emphasis in US Foreign Policy.